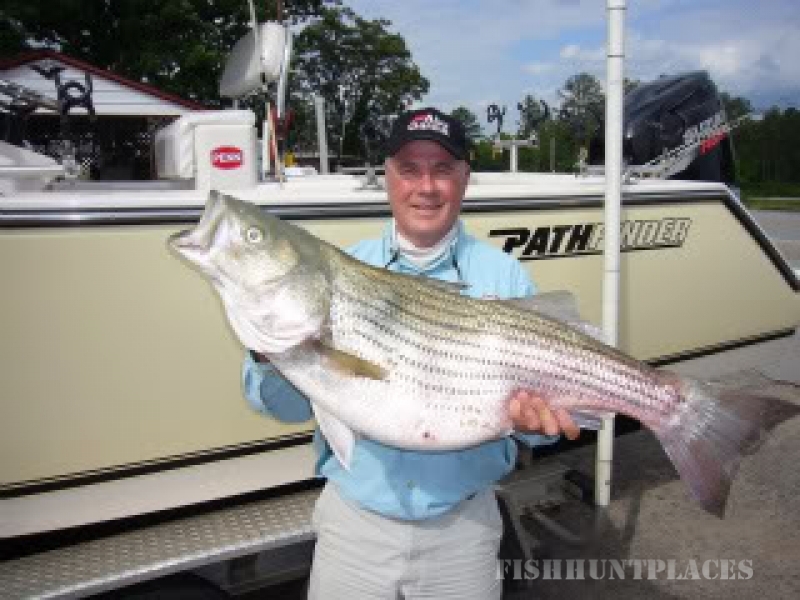 Enjoy the thrill of catching big striped bass on Lake Murray, located in central South Carolina. 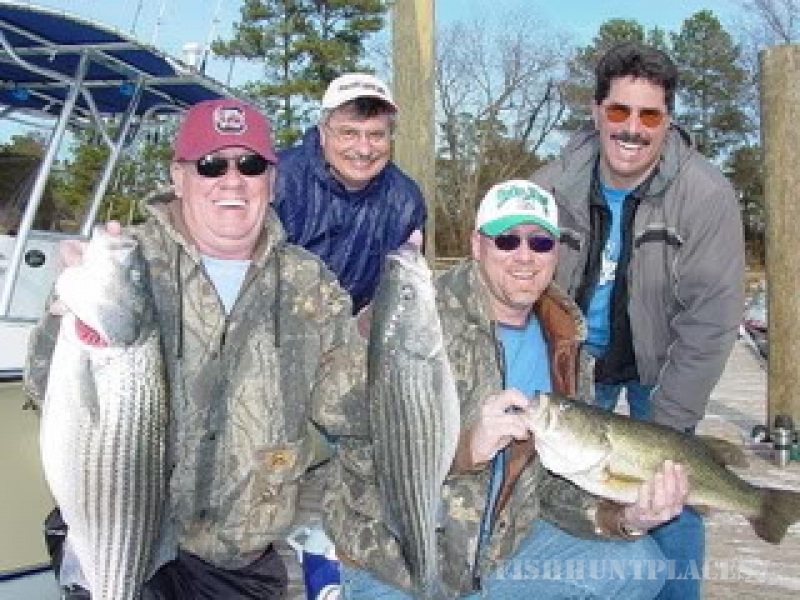 Lake Murray is known as one the southeast most productive striper lakes. This 41 mile long, 50,000 acre impoundment is full of tackle busting stripers. Capt. 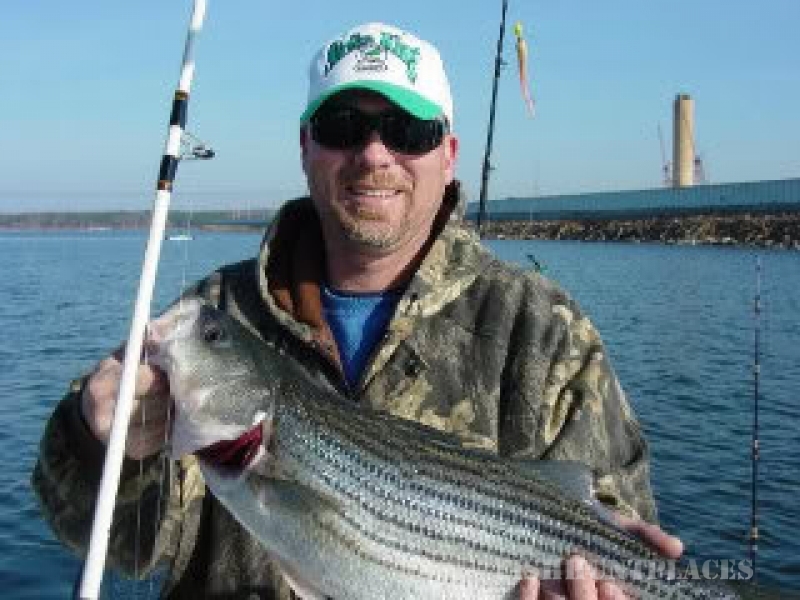 Buddy Bouknight offers guided striper fishing trips for every level of fisherman or fisherwoman! Sunrise Fishing Guide Service uses only top-of-the-line fishing equipment. Capt. Buddy is a member of the Purefishing Pro Staff so from his Penn/ABU Garcia/Pflueger reels and Shakespeare/AllStar rods to his 23' Pathfinder center console boat equipped with a 300hp Suzuki engine, Capt Buddy uses nothing but the best. You can be assured that all of his equipment is meticulously maintained so you will have a trouble free fishing trip. Capt. Buddy provides you with just about everything you will need for a fun day of fishing except food and beverages but that can be arranged if you like. A cooler with ice will be provided for your food and drinks but you will need to bring a cooler if you plan on taking fish home. If you need a place to stay there are plenty of accommodations close by. For information on directions and lodging - please click on the appropriate links. 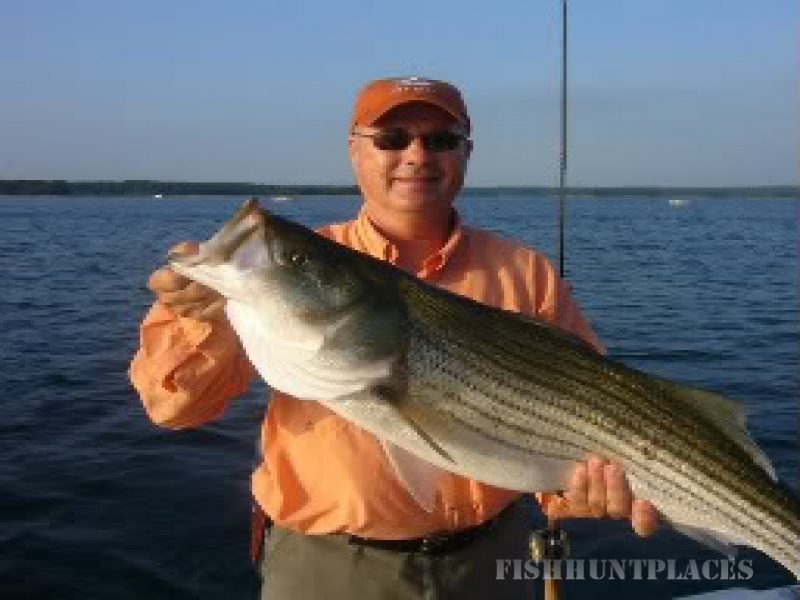 Sunrise Fishing Guide Service can offer you more than a fishing trip for striped bass. Capt. Buddy offers saltwater trips out of Charleston S.C. during certain times of the year. He also has week long fishing vacations in the Florida Keys. You can check out these opportunities on the fishing info page. A day of striper fishing makes a great gift. Check with Capt. Buddy about Gift Certificates' for Christmas, Anniversaries, Graduations or Birthdays. He can also accommodate corporate outings. If you have business clients that enjoy fishing call or an email and the captain will set up their striped bass fishing adventure. Take advantage of the businessman's special and all you and your guest have to do is get on the boat and go fishing.